Europe at crossroads – what kind of Europe do we want? Tässä tänään Berliinissä 2nd Berlin Foreign Policy Forum -tilaisuudessa pitämäni puhe. It is a great pleasure to be here at the Berlin Foreign Policy Forum among this distinguished audience. Sitting here with dear colleagues – Willian Hague and Guido Westerwelle – makes you really feel at crossroads, quite concretely between the core and the periphery of the Union. And, on a lighter note ? it?s nice to have us, the three big ones on stage ? together we represent nearly a third of the EU population. My own academic background is with enhanced cooperation ? how a smaller group can go ahead within the Union. Actually, these groups within the Union are rather common: Schengen, Euro etc. The trick is how to manage enhanced cooperation in a way that is at harmony with the union at large. The basic requirements are openness, transparency and common institutions. I have one major reservation with these avant-gardes ? they cannot become overbearing with participation in one core area becoming the overriding driver in the Union determining all other areas ? in very concrete and plain terms: participation in the euro area should not for instance become a divisive feature for the internal market. Europe is really at crossroads. The term is in frequent use, but this time it is no overstatement. The economic crisis has demanded unprecedented measures ? the ESM, robust economic policy coordination, firm fiscal rules, banking union, an active ECB – and with these steps we are making big institutional choices that will shape the Union for good. Inaction is not an option ? either we fix the euro by taking further steps with integration or we face the risk of disintegration. However, the key question at this crossroad is how to combine the necessity of deepening economic and monetary union with the EU at large ? the relationship between ?17 and EU27, soon to become EU28. I will make the case for minimizing this division ? the euro area should not build unnecessary hurdles for non-euro members and at the same time non-euro members ? actually, most of them are euro pre-ins ? should take a constructive pose with deepening EMU. So one basic answer to the question we have today ? what kind of Europe do we want ? is to my mind a united Europe, where building a stronger EMU will lead to a stronger union at large, rather than building a deepening division between the euro area and the rest. This is not the first time we have a major crisis, an existential challenge. So far, the European Union has managed to turn crises and challenges to its long-term advantage by taking bold new steps ? the internal market after the economic stagnation of the 1970s, enlargement to stabilize Europe after the division of the Cold War, economic and monetary union to make the EU stronger in a new global economy. My personal assessment of the euro area crisis is that we are turning the page. We should look at our achievements ? the six-pack legislation on economic policy coordination is a major achievement. The soon to be finalized two-pack adds to fiscal discipline. The European Stability Mechanism is up and running. Public deficits are being stabilized. The ECB has taken decisive action. What we now need to add to these milestones is Banking Union. With banking union in place the corner-stones of euro area recovery should be in place. I am not saying that things will be easy or recovery instantaneous. There are no miracles in economic life. But what I am saying is that the building blocks are there and with firm implementation, the euro will recover. Today, I have three concrete points to make. One, – how to build a banking union that will contribute to holding the Union together as a financial market. Second – how to manage the institutional deepening of EMU without clashing with the Union at 27. And third, – how to take steps in new areas of cooperation – like defense – to make integration stronger at 27. My first point is on Banking Union. Banking union is a necessary step for improving confidence in financial institutions in Europe. Agreeing to its time-table was one of the big items of the European Council last week. Having a banking union is logic ? we have an integrated financial market so we also need integrated supervision. One major lesson from the ongoing financial crisis is that supervision needs great improvements ? European improvements. The euro area has a common currency, but European banking does not stop at its borders. Ideally we should have integrated banking supervision for the whole union. This would be the best guarantee for the internal financial market. But if this is not possible at 27 ? and I am looking at William ? then we have to build banking union in a way that would encourage participation by as many non-euro members as possible. I am quite encouraged by the mood and results of the last European Council ? there is a strong commitment to make this work. I speak from practical experience ? in Finland the biggest bank is Swedish and the third biggest is Danish. A banking union that would sharply divide the euro area from the rest is not desirable and could raise new problems. My second point is on institutions. One important element in keeping the union together is upholding its common institutions. When the EMU deepens, the European Commission has to remain the common institution for euro area cooperation ? a unified institutional structure is the best guarantee for keeping the EU as a coherent entity. The major tool for institutional development is changing the treaties. So the question arises ? do we need treaty change to makes things work, to improve the Union, make EMU stronger. I have no problems with treaty change as such ? but we should be careful. Treaty change has shown to be an unpredictable and time-consuming process. I belong to the persuasion ?never-say-never?, but the case for treaty change would need to be absolutely compelling for the risk being worth taking. The safest and most practical way ahead is to work with the treaties we have. And let?s be practical ? a treaty change would probably be derailed by referenda. And let me add another dimension ? would it not tempt our British friends to question their involvement with Europe ? a move that would be a tragedy for both the United Kingdom and Europe. With a half-British family I feel entitled to speaking boldly on the subject. The third point I want to make ? since we are in a foreign policy forum ? is on European defense. And the point I am about to make is intimately tied with the economy. European military capabilities are quite poor. We are no match to other world powers. One basic reason is the fact that the way we organize our military capabilities are narrowly national. With our public purses constrained and military equipment costing more-and-more we either choose being irrelevant in military terms or rethink the way we organize our military procurement. The European Council plans to discuss European Security and Defense policy. Pooling and sharing is at the heart of the issue. This is a field where we can actually take great lessons from British leadership. Britain has been a consistent driver of more cooperation in security and plans between France and Britain on military cooperation are bold. The Nordic experience on pooling and sharing is encouraging. Defense cooperation between the Nordic countries is a fairly new phenomenon but gaining speed. The constraints are identical ? national capabilities cost too much and the only way to keep these capabilities in the future is by pooling and sharing them. With a high-level of trust there are no political constraints to doing it. And since the approach is very practical, different military allegiances ? three of the Nordics are in Nato and two are not ? pose no difficulties. Agreeing on joint standards and solutions is one practical key for allowing pooling and sharing. Pooling and sharing should be the norm in the European Union as well. And strengthening our military capabilities is also about our defense industries and the internal market. We need a more competitive European defense industry and in this field size is a big advantage. And this is me speaking both as minister for Europe and External Trade. Therefore it was a pity that the EADS and BAE merger did not go ahead. Having a more European dimension to procurement by pooling and sharing would strengthen the European defense industry ? less fragmentation, bigger volume. And defense procurement should be an internal market as any other ? offsets in defense procurement should have no place within Europe. William: please join Banking Union and keep Britain in Europe. We love having you in, don?t sit on the fence. Guido: at this juncture treaty change is like opening Pandora?s box, putting too much strain on the union. Treaty change at this juncture risks dividing the EU further. William and Guido: let?s work together in building European defense capabilities. Without pooling and sharing Europe risks becoming irrelevant in military terms. Nimesin viime keväänä nuorten työryhmän pohtimaan pohjoismaisen yhteistyön tulevaisuutta. Halusin antaa ryhmälle työssään täysin vapaat kädet visioida, kehittää ja haastaa. Tänään he luovuttivat työnsä tuloksena syntyneen ?Nuorten haaste Pohjoismaille? ? julkaisun ulkoasiainministeriössä pidetyssä julkistamistilaisuudessa. Mielestäni pohjoismainen yhteistyö on liian arvokas asia jätettäväksi vain poliitikkojen haltuun. Pohjoismailla on pitkä yhteinen historia ja arvopohja. Tarvitaan kuitenkin uusia ajatuksia ja avauksia, jotta vanhaan liittoon saadaan lisää intohimoa. Näitä ajatuksia hain juuri tältä ryhmältä. Avoimen hakuprosessin kautta Suomen nuorisoyhteistyö Allianssi esitti ryhmän jäseniksi 25 nuorta osaajaa, jotka edustivat laajasti suomalaisia alle 30-vuotiaita nuoria. Ryhmä esitti kymmenkohtaisen listan laajoja näkemyksiä pohjoismaisesta yhteistyöstä. Ehdotusten joukossa oli muun muassa, että Pohjoismaissa siirryttäisiin yhtenäistettyyn korkeakoulujen hakujärjestelmään, äänestysikäraja laskettaisiin 16 ikävuoteen ja luotaisiin yhteiset kestävän kehityksen tavoitteet. Muita ehdotuksia oli perustaa yläkouluihin ?Nuoret Itämeren Pelastajat? ? vaihto-ohjelma, yhteispohjoismainen brändityöryhmä ja merkitä kaikkiin Pohjoismaissa tuotettuihin tuotteisiin niiden tuottama hiilijalanjälki. Arvoina korostuivat vahvasti demokratia, tasa-arvo, vähemmistöjen oikeuksien turvaaminen, yhteistyö, globaali proaktiivisuus, kestävä kehitys ja avoimuus. Pohjoismaisiin arvoihin on mahdollista kasvaa ja oppia. Pohjoismaisessa yhteistyössä kieli ei saa olla este, mutta mahdollisuudet pohjoismaisten kielten opiskeluun tulee turvata ja toisaalta siihen tulee kannustaa. Vien erittäin mielelläni näitä ajatuksia eteenpäin ja ehdotinkin tilaisuudessa, että nuoret tulisivat esittämään ajatuksensa Helsingissä ensiviikolla pidettävän Pohjoismaiden neuvoston 60-vuotisjuhlaistunnon yhteydessä pohjoismaisille yhteistyöministereille. Ryhmän työ on vahva osoitus siitä, että nuoria kannattaa kuulla ja heillä on asiantuntijoina myös paljon annettavaa. P.S. 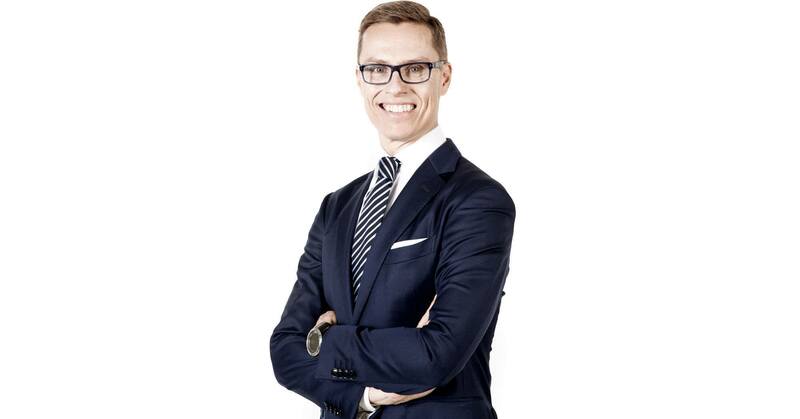 Katso myös kuvat julkistamistilaisuudesta: https://www.facebook.com/alexanderstubb?ref=hl#!/media/set/?set=a.469377909773262.115561.110067592370964&type=1 ja ryhmän tekemä lyhyt video: http://vimeo.com/51897263. Jälkimmäinen on muuten ihan pro! Nobel-komitea julkisti tänään päätöksen myöntää vuoden 2012 Nobelin rauhanpalkinto Euroopan unionille. Loistava uutinen! Komitean perustelut löytyvät täältä. Euroopan integraation perustavoitteet ovat rauha, vakaus, vauraus ja turvallisuus. Tässä järjestyksessä. Meidän sukupolvellemme se tuntuu kaukaiselta, mutta kun järjestelmä perustettiin 1951, olivat Saksa ja Ranska käyneet läpi kolme sotaa 50 vuodessa. Kaksi niistä oli maailmansotia. EU:n laajentuminen on ollut keskeinen työkalu Euroopan vakauttamisessa ja demokratian sekä markkinatalouden levittämisessä maanosaan. EU:n oven on oltava auki jatkossakin, seuravaksi Kroatialle. Laajentumisen ehdot ovat tiukat, ja niistä on syytä pitää kiinni. Viime vuodet eivät ole olleet pelkkää auvoa Euroopassa. Talouskriisi koettelee jäsenmaiden välistä luottamusta. Erityisesti velkamaissa se on horjuttanut ihmisten luottamusta yhteiskuntaan ja omaan tulevaisuuteensa. EU:n yhtenäisyys on varsinkin kriisin aikana aivan välttämätöntä. Uudet jakolinjat pohjoinen-etelä tai euro-ulkopuolinen ?akseleilla ovat onnettomia, ja niitä on johdonmukaisesti vältettävä. Lopulta niistä kärsivät kaikki osapuolet. On osuvaa, että EU:n merkitystä rauhalle alleviivaa EU:n ulkopuolella olevan Norjan Nobel-komitea. Ehkä olemme joskus niin keskellä kriisinhoitoa, ettemme itse näe metsää puilta. EU on maailman merkittävin rauhanprojekti! P.S. Hauska sattuma, että Eurooppa-neuvoston puheenjohtaja Herman Van Rompuy on juuri tänään Suomessa. Minulla oli mahdollisuus osallistua pääministerin ja Van Rompuyn tapaamiseen Kesärannassa. Aiheena mm. EMU:n kehittäminen. Terveiset Kazakstanista! Vienninedistämismatkani Almatyyn ja Astanaan on kääntymässä kohti loppuaan, ja saldo on erittäin myönteinen. Neuvostoliiton hajoamisen myötä syntyi seitsemäs maanosa, Keski-Aasia, ja Kazakstan on sen johtovaltio. Kazakstan on maailman kolmanneksi nopeimmin kasvava talous Kiinan ja Qatarin jälkeen. Sen kasvu on perustunut valtaviin luonnonvaroihin. 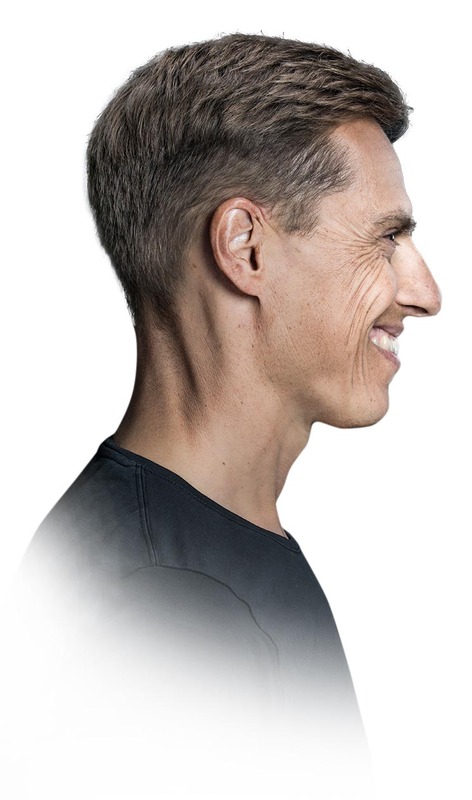 Kun niihin lisätään maassa voimakkaasti kasvava vihreä talous, menestyksen resepti on valmis. Mukanani oli suurin Suomesta koskaan Kazakstaniin tullut yritysvaltuuskunta. Mukana oli 55 yritystä, jotka edustavat koko yrityskenttäämme yhden miehen pumpuista kansainvälisiin megayrityksiin. Myös toimialojen kirjo on poikkeuksellisen laaja, mikä heijastaa suomalaisyritysten valtavaa kiinnostusta tätä maata kohtaan. Vierailen Kazakstanissa nyt kolmatta kertaa. Vuonna 2008 kävin täällä ETYJin puheenjohtajana kesällä 30 asteen helteessä. Toisella matkallani vastassa oli 30 asteen pakkanen ja tuuli. Myös tällä kertaa sää on vaihdellut 20 asteen lämmöstä lumisateeseen. Kazakstan on moni-ilmeinen ja kiehtova maa. Vuonna 2009 otin Kazakstanin presidentti Nazarbajevin vastaan Helsinki-Vantaan lentokentällä hänen vieraillessaan Suomessa. Presidentti Nazarbajev on nimennyt Suomen innovaatio-, koulutus- ja tiedejärjestelmän mallimaaksi. Ehkä siitäkin syystä saamamme vastaanotto on ollut täällä erityisen lämmin. Yhtenä merkkinä hyvistä suhteistamme saatoin tänään ilmoittaa Suomen tukevan Astanan ehdokkuutta maailmannäyttelyn isäntäkaupungiksi vuonna 2017. Se on merkki Kazakstanin uudistumisesta samalla lailla kuin Kazakstanin ETYJ-puheenjohtajuus vuonna 2010. Suomi haluaa tukea Kazakstanin uudistumista. Ulkoministerikaudellani Suomi avasi suurlähetystön Astanaan, ja suurlähettiläs Mikko Kinnusen tiimi on tehnyt täällä loistavaa työtä. Yksi osoitus siitä on matkani täysipainoinen ohjelma. Tapasin muun muassa Kazakstanin pääministerin, koulutus- ja tiedeministerin, teollisuus- ja teknologiaministerin, keskuspankin pääjohtajan sekä Almatyn ja Astanan pormestarit. Erityisen hyvin tulin juttuun Kazakstanin ympäristöministeri Nurlan Kapparovin kanssa. Hän johtaa kanssani suomalais-kazakstanilaista talouskomissiota, joka kokoontui matkani aikana. Sovimme, että ministeri Kapparov saapuu alkukeväästä Suomeen ja järjestämme hänelle perusteellisen cleantech-ohjelman. Yhteistyötämme tulee edelleen helpottamaan Kazakstanin juuri avattu suurlähetystö Helsingissä. Kazakstanilaisilla oli meille selvä viesti. He haluavat päästä eroon raaka-aine- ja öljyriippuvuudesta. Niiden aiheuttamasta epävakaudesta halutaan eroon monipuolistamalla taloutta ja luomalla kestävää kasvua. Tavoitteena on vihreä talous, joka tuottaa parempaa laatua kuluttaen vähemmän raaka-aineita ja energiaa. Erityisesti siinä tarvitaan Suomen apua. Tässä on Kazakstanin muutoksen ydin. Se voi luoda itselleen ainutlaatuisen brändin ensimmäisenä Keski-Aasian vihreänä taloutena. Ympäristöministeri Kapparov muistutti meitä siitä, että taloudessa voi tapahtua radikaaleja muutoksia hyvin lyhyessä ajassa. Esimerkiksi lankapuhelimet ovat käytännössä kadonneet kymmenessä vuodessa. Tulevaisuuden talous perustuu vastuullisuuteen. Se tarkoittaa vanhustenhuoltoa, kestävää kulutusta, uudistuvaa energiaa, kestävää asumista ja vaikkapa sähköautoja. Kazakstanissa on paljon käyttämätöntä potentiaalia. Viime vuonna Suomen ja Kazakstanin kauppa oli reilut puoli miljardia euroa eli vain noin puoli prosenttia koko kauppavaihtomme volyymista. Se on sääli. Kazakstan on jopa asukasta kohti rikkaampi kuin eräät EU-maat ja sen kauppasuhteet moniin muihin EU-maihin ovat jo tiiviit. Tällä matkalla panin erityisesti merkille kasvupotentiaalin energia- ja ympäristöliiketoiminnassa, koulutusviennissä ja hyvinvointipalveluissa. Nämä toimialat olivat laajasti edustettuina myös matkani yritysvaltuuskunnassa. Kazakstanin-matkaani liittyi myös kaksi innovaatiota. Vierailin Astana-pyöräilytallissa ja pyöräilin valtavalla velodromilla Astana-tiimin ja Astanan apulaiskaupunginjohtajan kanssa. Iltavastaanotolla tarjoilimme ensimmäistä kertaa suomalaista Wild Foodia, jonka loihti eteemme suomalainen kokki Sami Tallberg. Villiruokatapahtumia tulen järjestämään jatkossakin, sillä debyytti oli kiistaton menestys. Ohjelmaani mahtuivat myös perinteiset Eurooppa-luennot sekä Almatyssa että Astanassa. Opiskelijoiden tiukoista kysymyksistä saattoi päätellä, että ainakin akateeminen vapaus voi täällä hyvin. Almaty ja Astana olivat 20. ja 21. matkakohteeni vienninedistämisen merkeissä. Sekä menneet että tulevat vienninedistämismatkat löytyvät tältä sivustolta. Tarkoitukseni on kattaa toimikaudellani kaikki olennaiset kohteet keskittyen erityisesti kaupunkeihin ja toimialoihin, joissa kasvupotentiaali on kaikkein suurin. Almaty ja Astana ja mukana olleet toimialat edustivat kasvupotentiaalia parhaimmillaan. Julkisuudessa on esitetty erilaista tietoa ja epätarkkoja kommentteja päätöksenteosta finanssitransaktioveron suhteen. Näin EU-nörttinä haluan tarkentaa, että kun Suomen liittymistä veroa haluvien maiden joukkoon on esitetty, on Suomen nyt päätettävä, pyytääkö Suomi tiiviimmän yhteistyön aloittamista finanssitransaktioveron osalta vai ei. Päätöksessä ei ole kyse pelkästä valmisteluun osallistumisesta. Käsittelin aihetta väitöskirjassani ”Flexible Integration and the Amsterdam Treaty: Negotiating Differentiation in the 1996-97 Intergovernmental Conference”. Kyseessä on niin sanottu tiiviimpi yhteistyö, jossa pienempi joukko jäsenmaita etenee hankkeissa, joissa eteneminen koko unionin laajuisesti ei ole mahdollista. Euroopan unionissa tiiviimpää yhteistyötä on toteutettu aiemmin kahdessa hankkeessa, nimittäin Rooma III ?asetuksessa, joka koskee rajat ylittäviin avioeroihin sovellettavaa lainsäädäntöä (mm. Suomi ja Ruotsi jäivät pois) sekä yhtenäisessä patenttisuojassa sekä siihen liittyvissä kielijärjestelyissä (Italia ja Espanja jäivät pois). 1. Komissio tekee lainsäädäntöaloitteen, joka astuisi voimaan koko EU:ssa. 2. Jäsenmaat (=neuvosto) toteavat, ettei asiassa ole mahdollista edetä kaikkien jäsenvaltioiden kesken. Näin tapahtui finanssitransaktioveron osalta toukokuussa 2012. 3. Vähintään yhdeksän jäsenvaltiota esittää komissiolle tiiviimpää yhteistyötä koskevan pyynnön. Ranska ja Saksa ovat esittäneet tällaisen pyynnön, ja Suomea on pyydetty liittymään joukkoon. 4. Komissio tekee tiiviimpää yhteistyötä koskevan ehdotuksen todettuaan, että yhteistyön käynnistämisedellytykset täyttyvät. Neuvosto tekee komission ehdotuksesta ja Euroopan parlamentin hyväksynnän saatuaan määräenemmistöllä päätöksen luvan antamisesta tiiviimmälle yhteistyölle. 5) Komissio tekee lainsäädäntöehdotuksen, jonka käsittelyyn kaikki jäsenvaltiot voivat osallistua, mutta ainoastaan tiiviimpään yhteistyöhön osallistuvat jäsenvaltiot saavat äänestää. Siis myös ne maat, jotka eivät ole olleet pyyntöä tiiviimmästä yhteistyöstä esittämässä, ovat mukana valmistelussa. Näiden maiden on mahdollista päättää hypätä mukaan tiiviimpään yhteistyöhön myöhemmin, kun tiedetään, miten vero käytännössä toteutettaisiin. Hallitus päättää asiasta lähiaikoina. Hallitusohjelmassa on sitouduttu kiirehtimään veron käyttöönottoa maantieteellisesti mahdollisimman kattavasti, tavoitteena globaali vero, mutta ensi vaiheessa kyseeseen voisi tulla myös EU:n tasolla toimeenpantava järjestelmä. EU:ssa on ollut aina eriytyvää yhdentymistä. Tiiviimpään yhteistyöhön kannattaa jäsenmaan mennä mukaan vain silloin, kun siitä on sille hyötyä, eikä missään nimessä silloin, kun siitä on sille haittaa.